Say what? Wat Arun in the house! Haha. 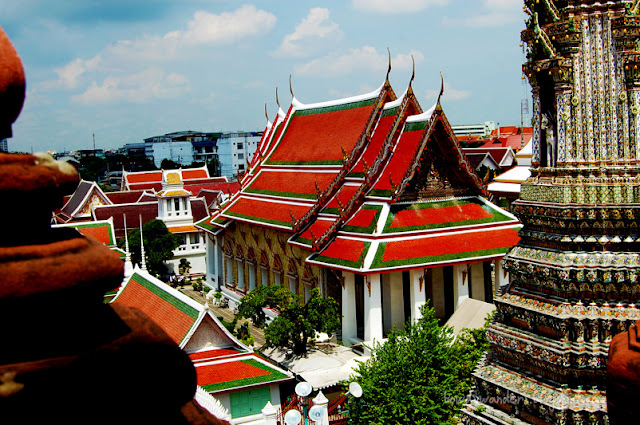 No he’s no Slim Shady, he’s in fact the Temple of Dawn tattooed in the heart of Bangkok, Thailand. Btw, that’s just a screename. 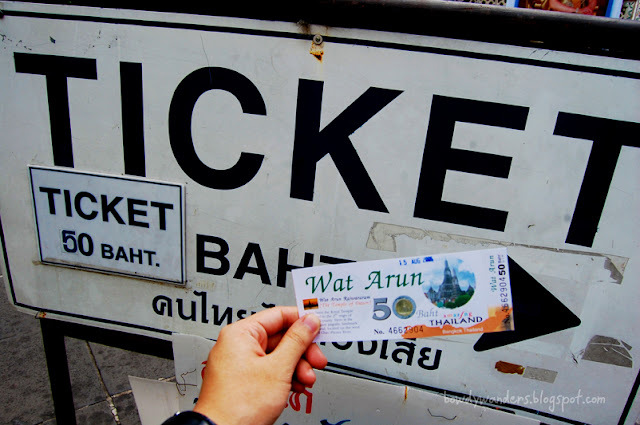 The real name would be: Wat Arun Rajwararam. Soooo yes let’s stick to the original one then. Haha. I know, another Buddhist temple, you may say. 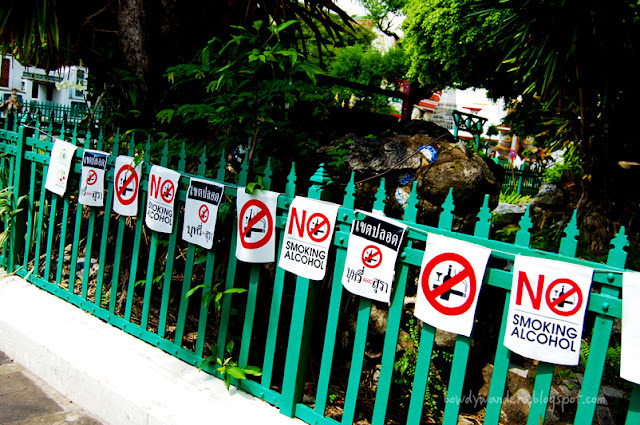 But, this one got some interesting finds so be sure to go here when you visit Bangkok, Thailand. 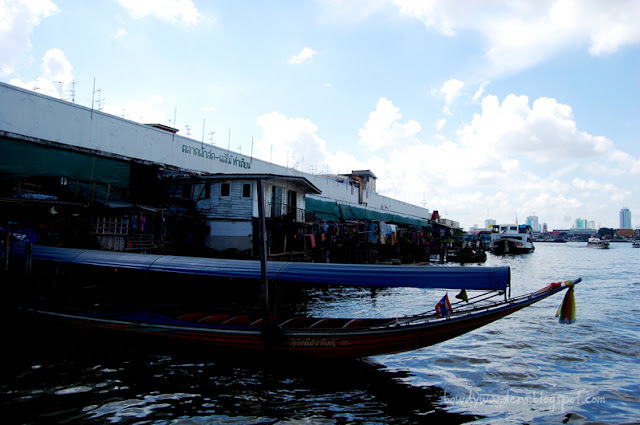 Two cool ways to reach this place: boats and tuktuks. This never gets old. Almost everywhere in Asia, you have some kind of tuktuk, but the country famous for it is of course, Thailand. Their tuktuk rides are a little small, good for 4 normal body packs. So be sure to either squeeze your way in for some adventure or else, go el-fresco and prefer the boat rides. The boat rides on the other hand are much more interesting, I think. You get to see the famous Wat Arun from afar and it looks dramatic, especially the part where the lower layer of the temple looks as if it’s sitting on the river bed. 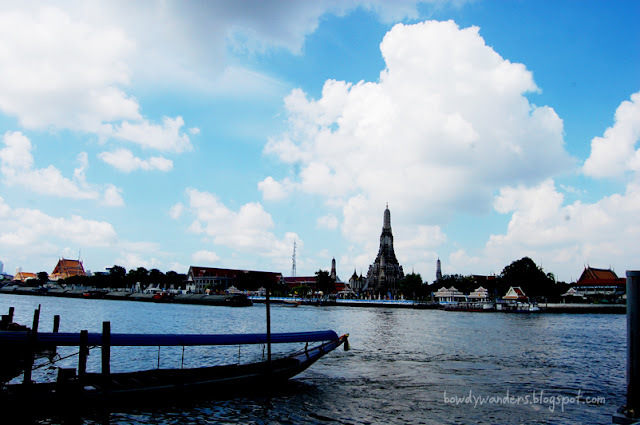 Yes, the Wat Arun is nearby the river so that’s a plus for overall view influence. There’s so much actually. Don’t know where to start. Okay, first: Wat Arun is the bomb. It’s the ultimate highlight amongst all other Bangkok Buddhist temples. Pompous. Royal Awesome! 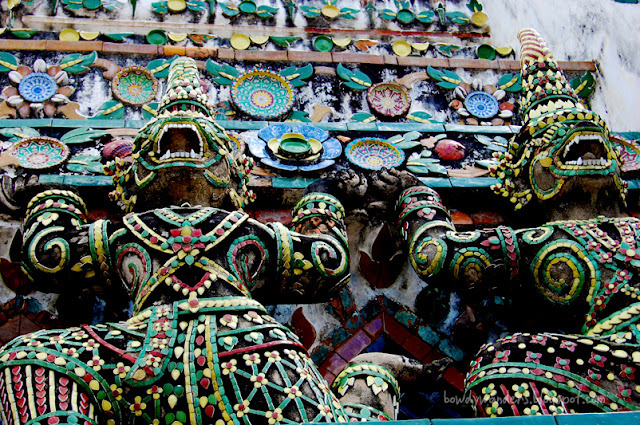 The details, the colors, the holiness of the temples just look amazing. Not to mention, the monks and the temple art. Everything inside and outside are just camera click friendly! The place is good for history learning and site seeing so be sure to be in the zone when you visit this place. Don’t fail to go further the stairs to reach the highest layer of the temple. There’s a good view where all of Bangkok can be seen. It’s another panorama worth catching. And of course you have to check the Buddha images inside the temple. It looks so shinny and new when in fact these things have been around for quite so long ago. Haha. Last thing, be sure to go here around later times (near sunset) so that the venue and the hike up the stairs won’t be so tiresome. Plus, it will look 10 times better when you take that overlooking cityscape shot with all the river and houses and the rest of Bangkok view.